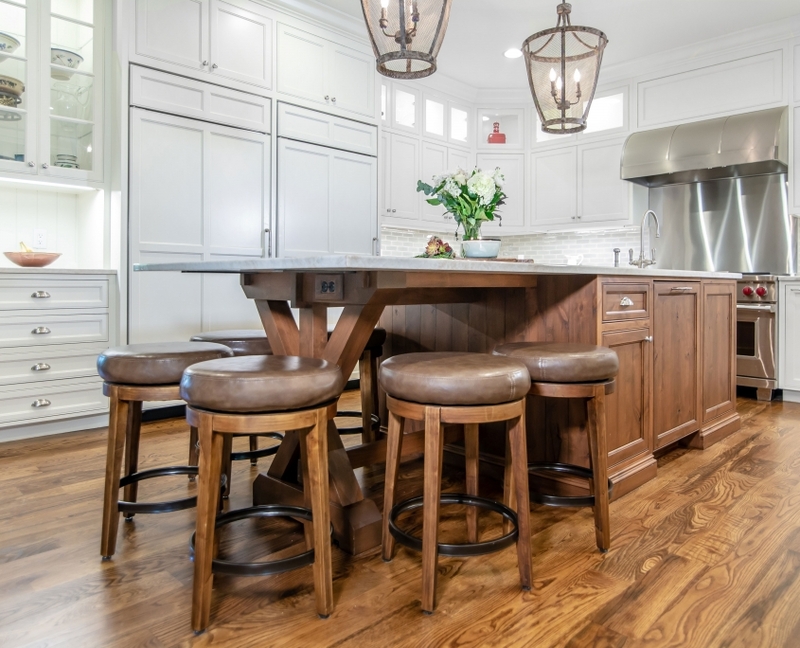 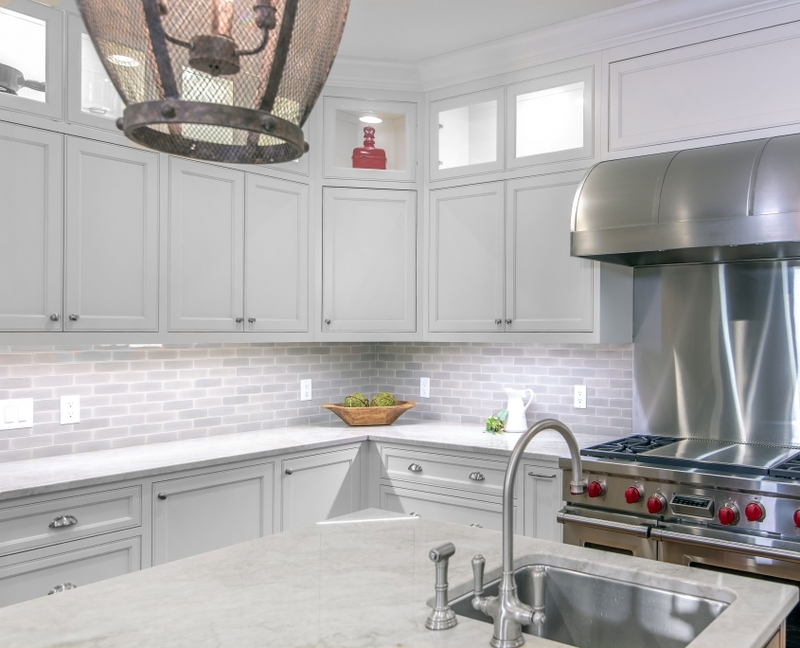 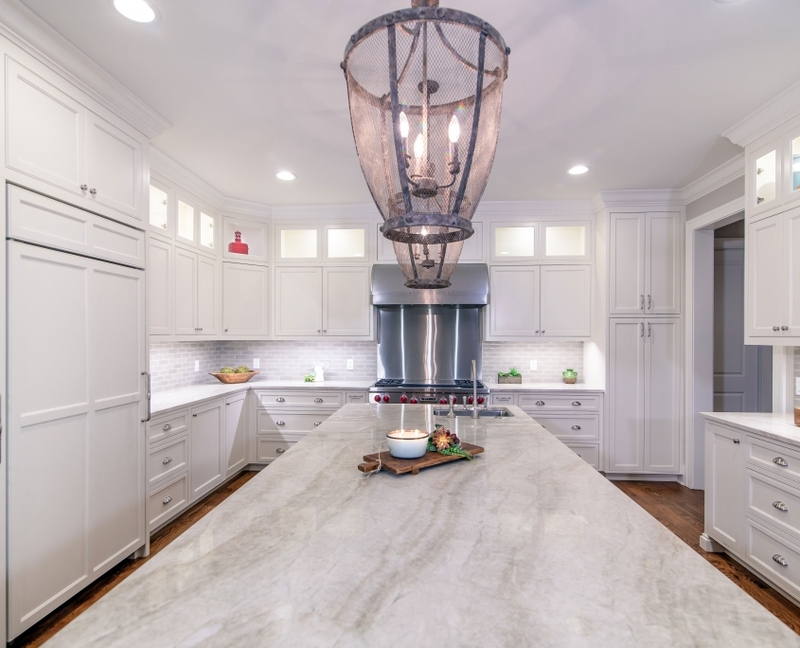 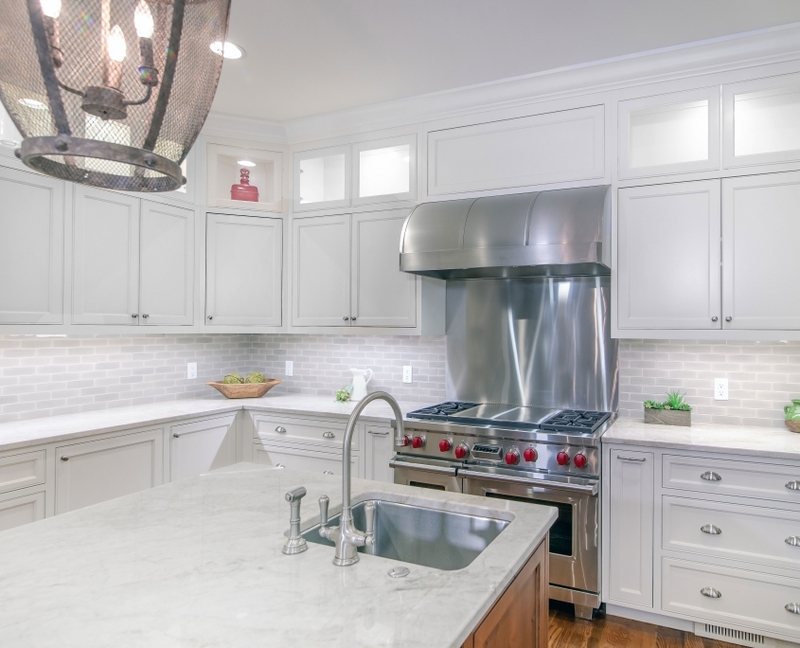 What is it about a kitchen that has the power to draw family members and guests alike? 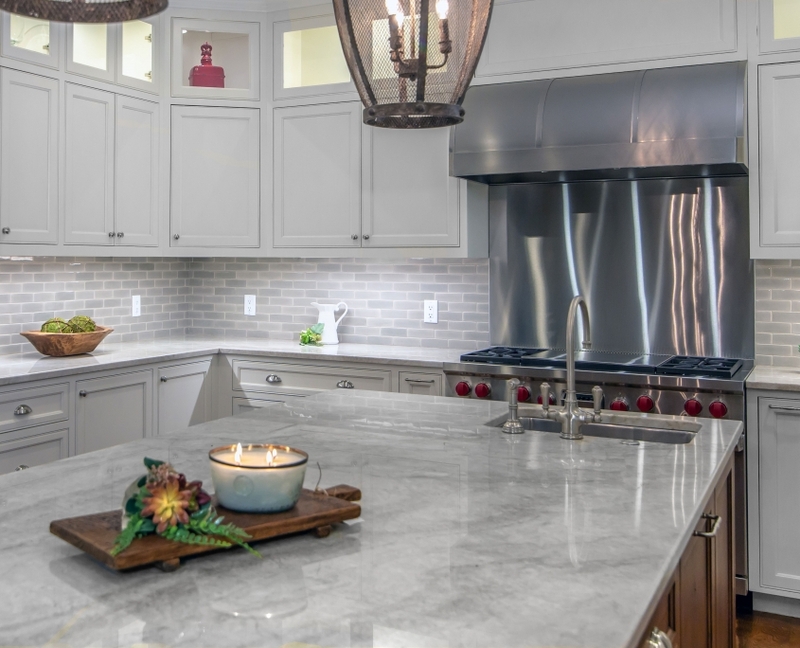 Perhaps the smell of home cooking, a freshly lit candle of scented spice, or the comfort of being home! 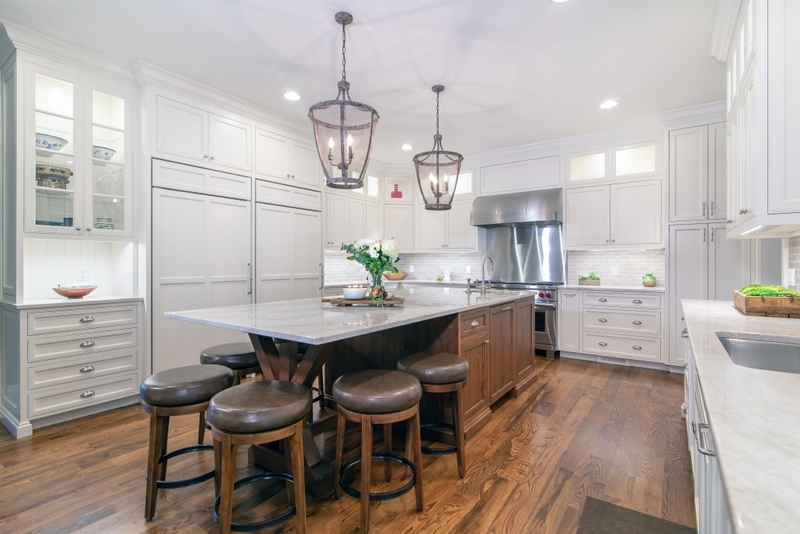 Whatever the reason, everyone seems to always gather in the kitchen. 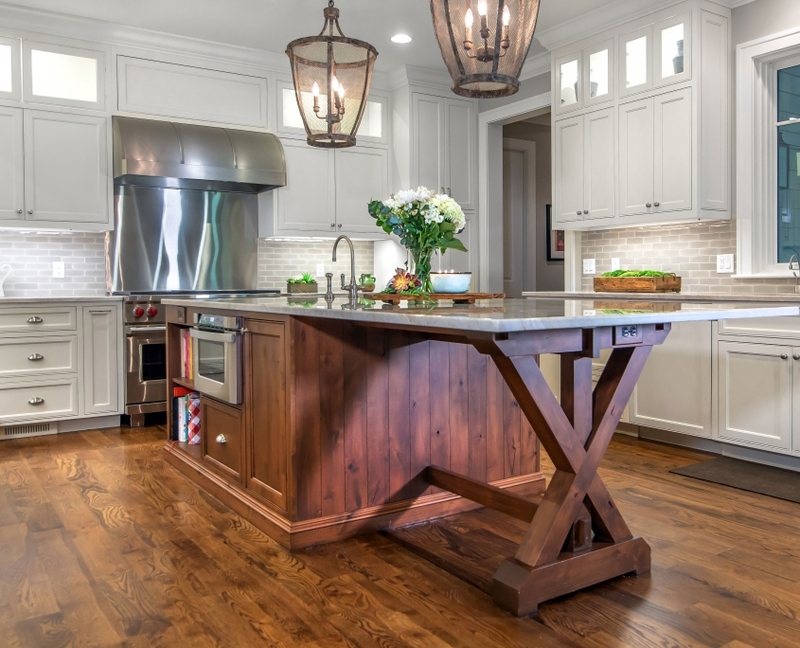 More families are embracing the fact that the kitchen is the heart of the home! 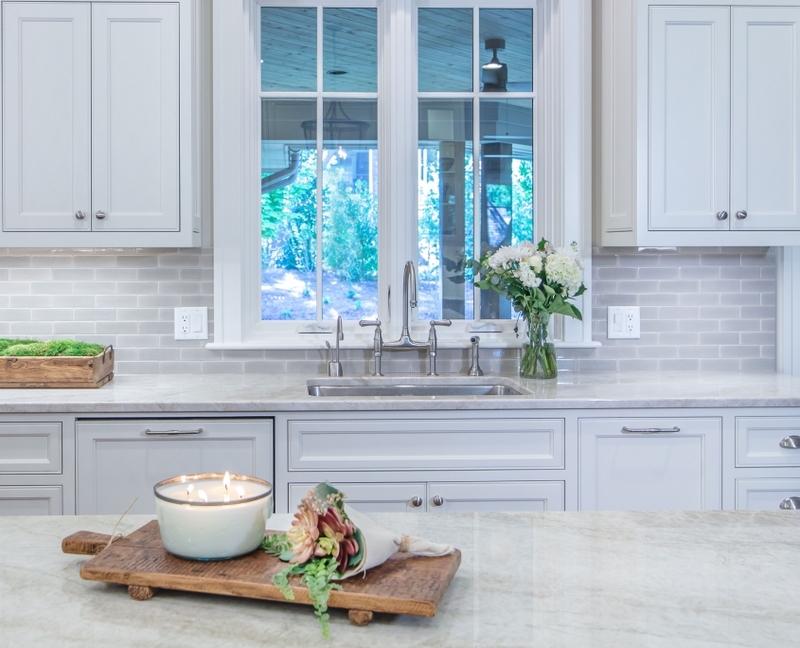 As seen in this beautiful Mountain home, the kitchen is a workroom but that doesn’t mean it can’t have a style all of its own. 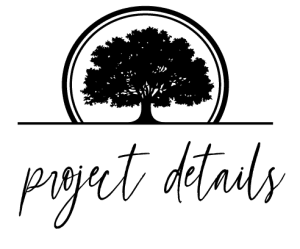 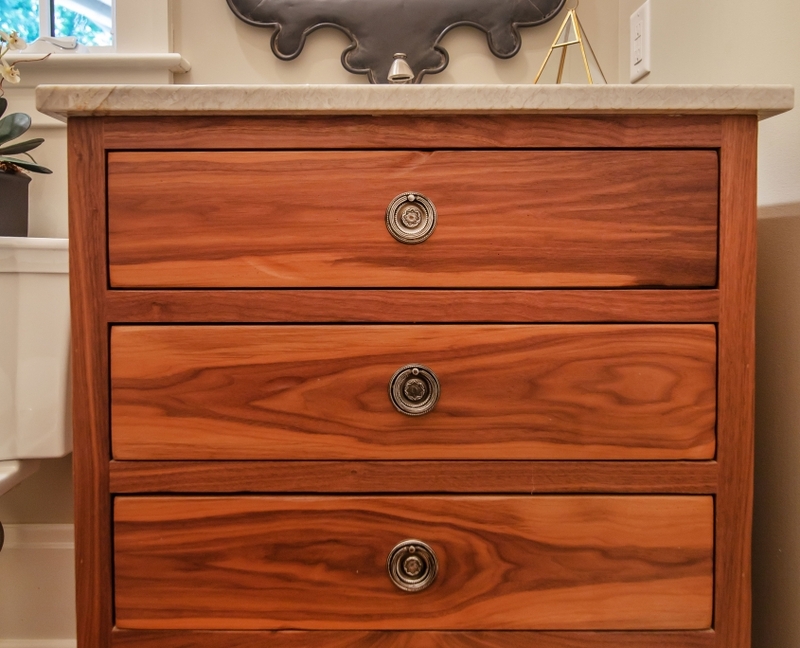 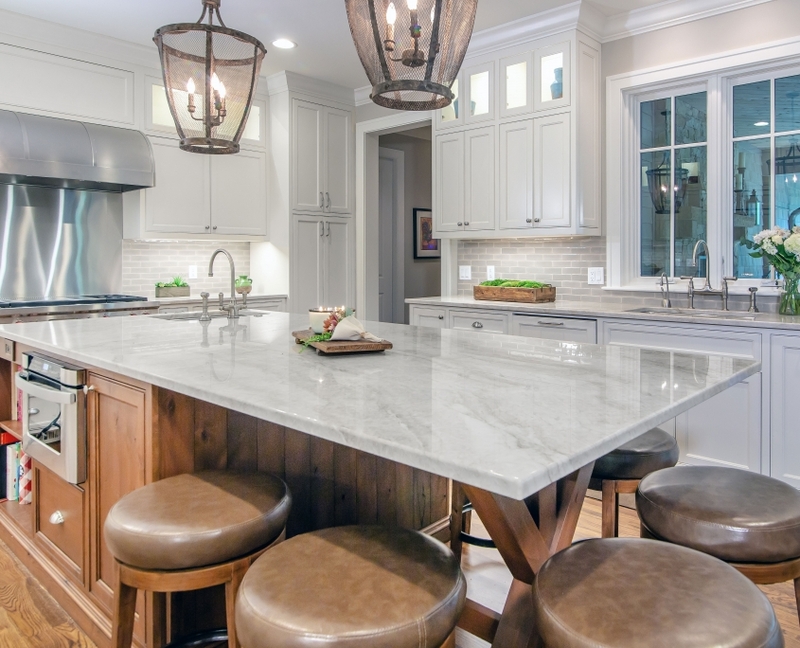 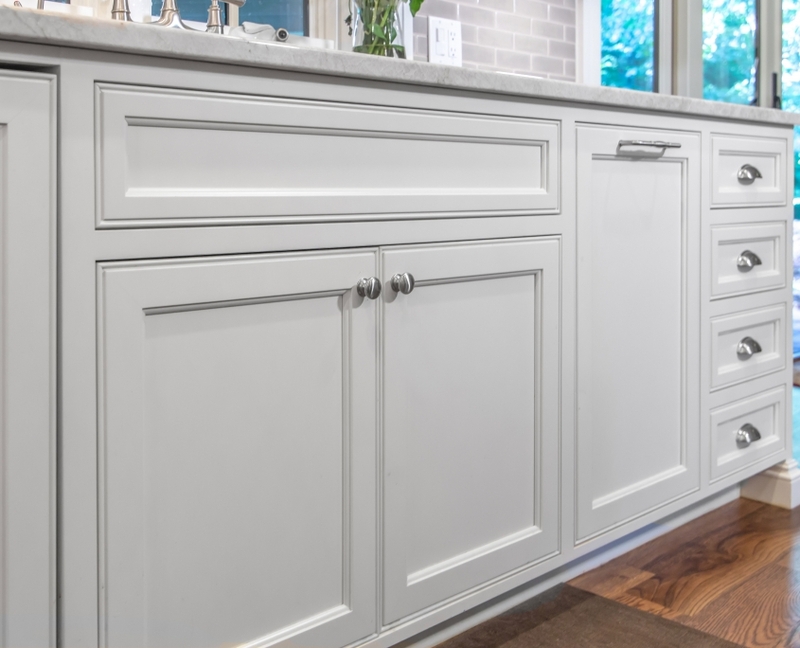 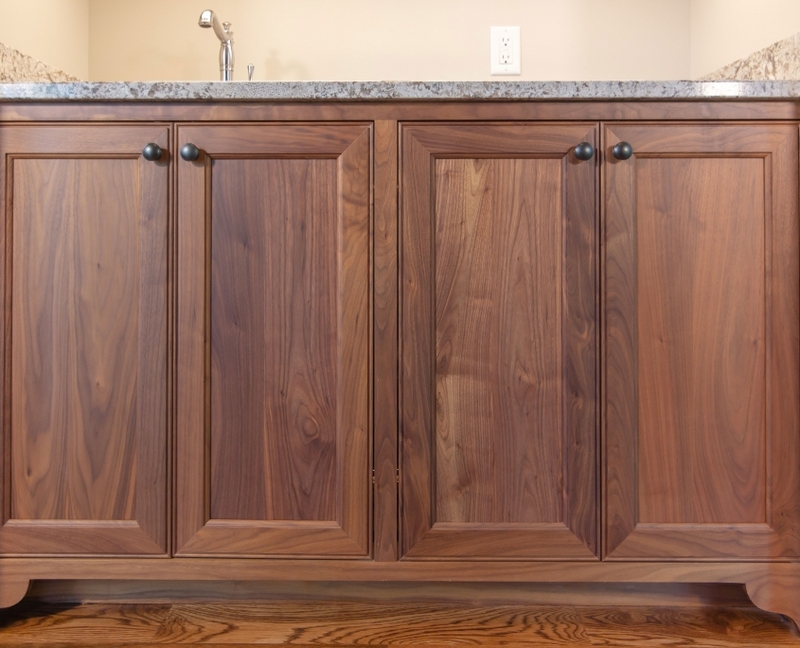 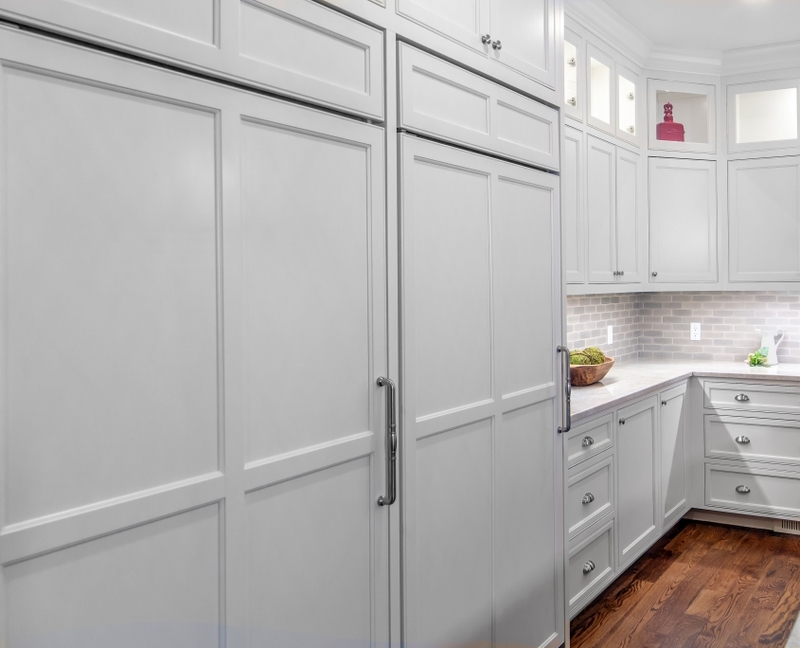 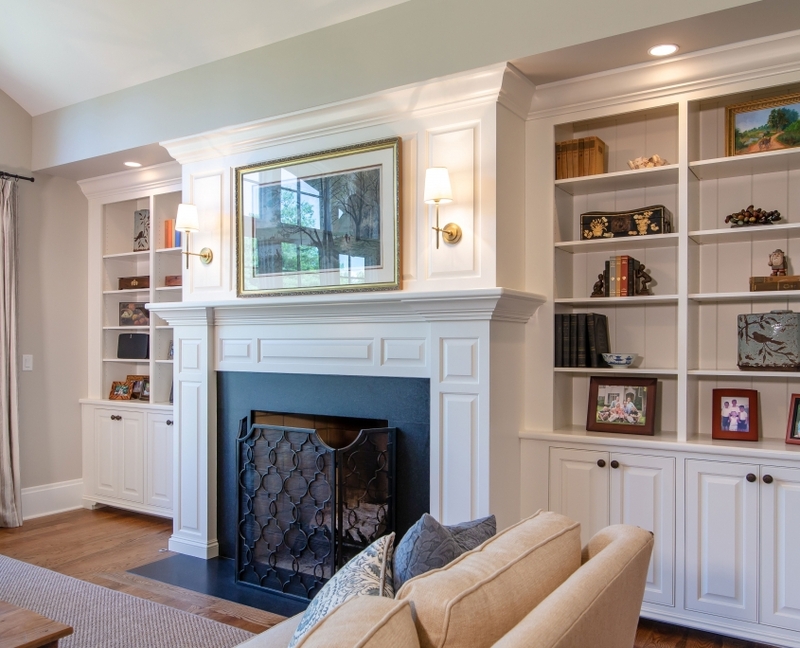 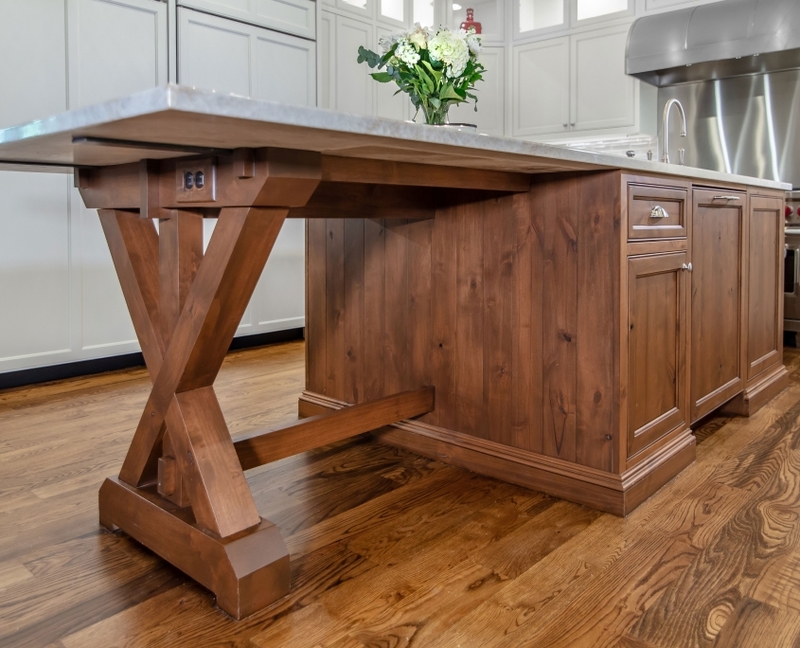 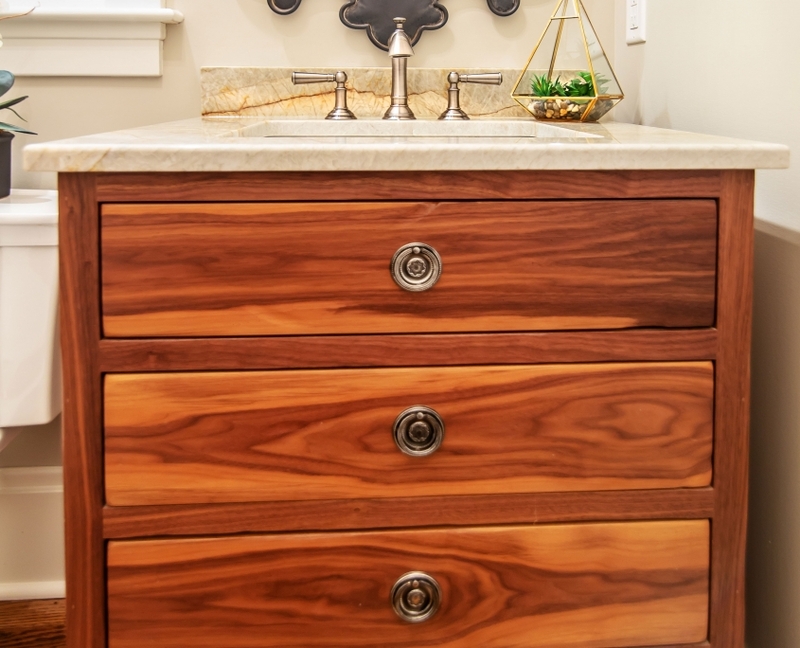 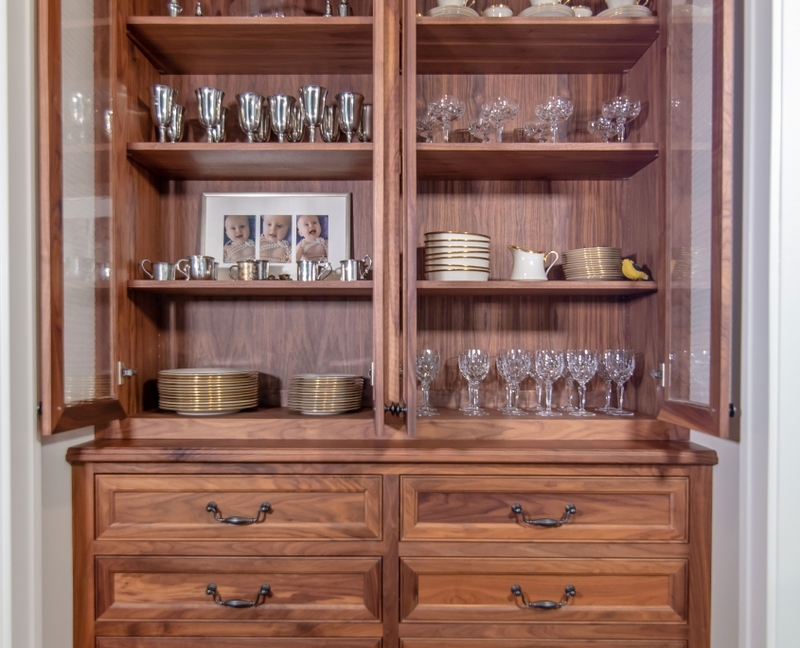 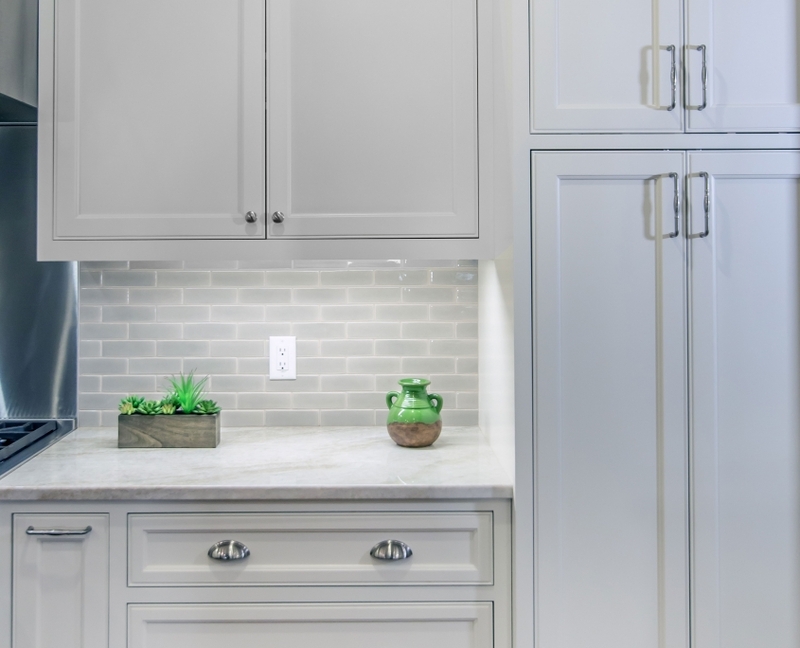 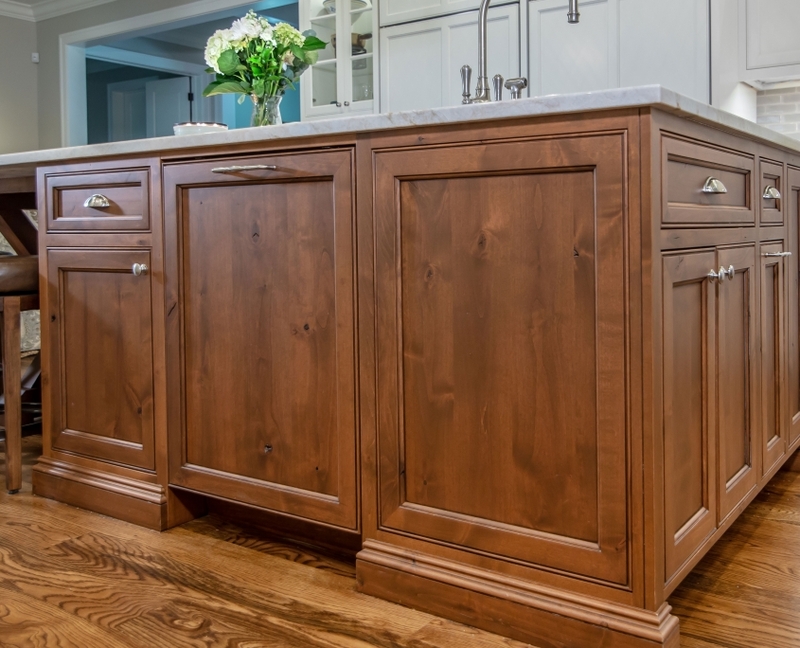 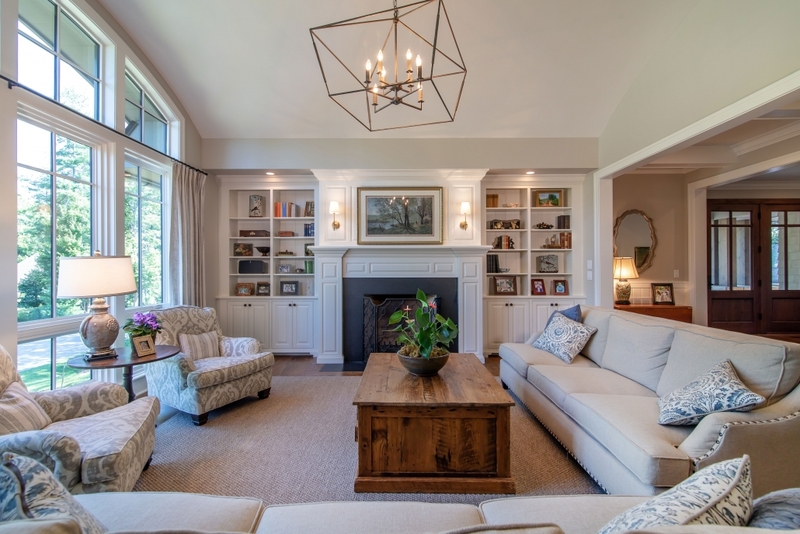 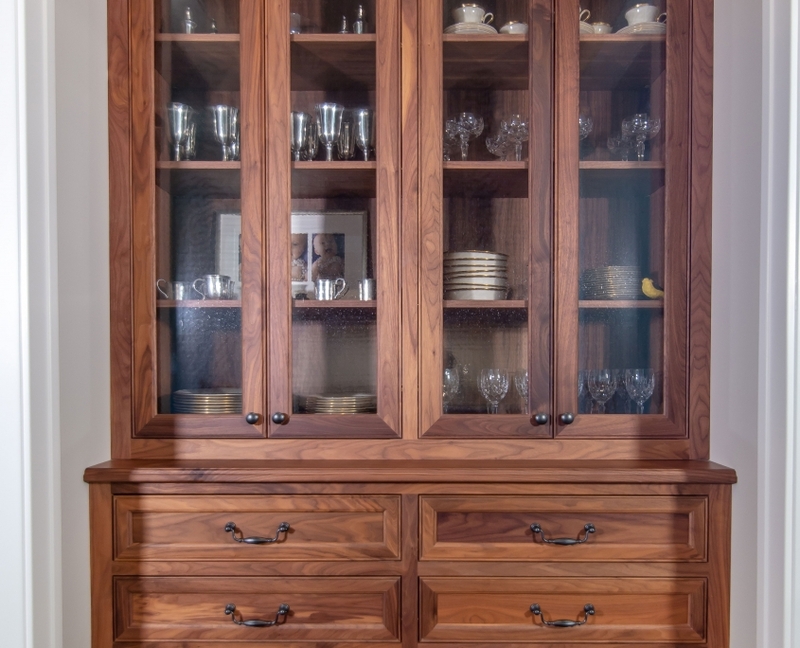 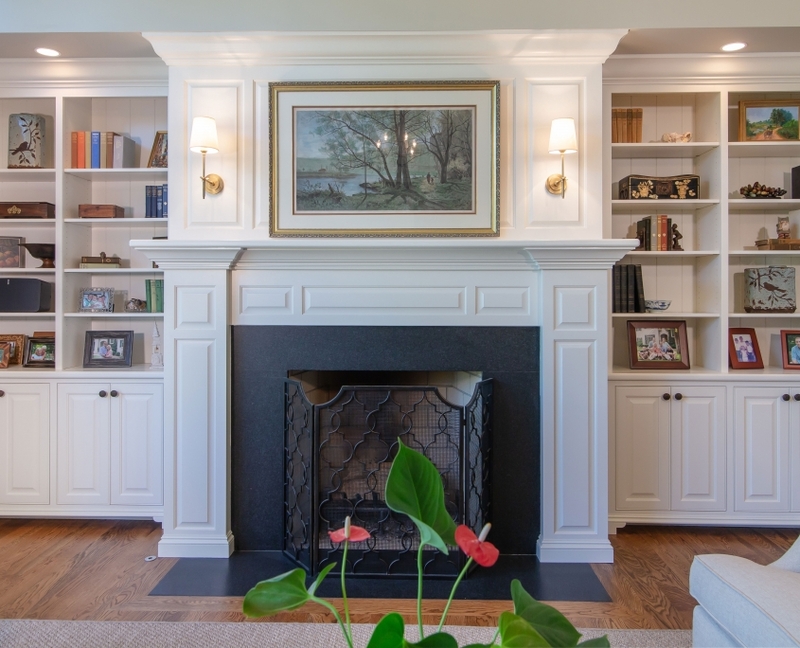 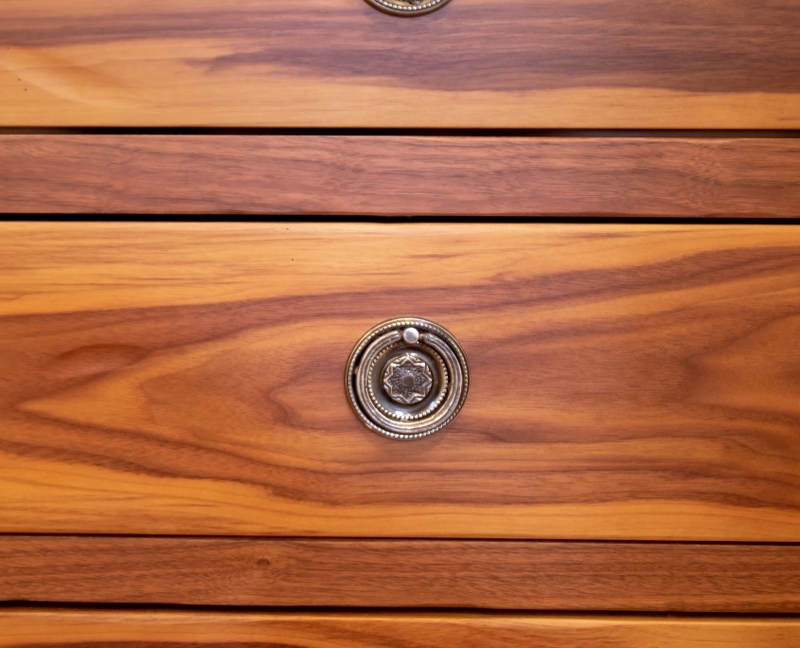 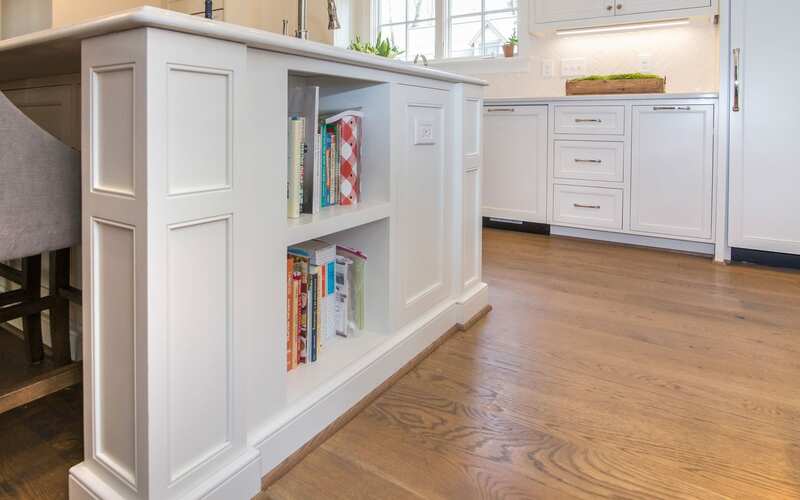 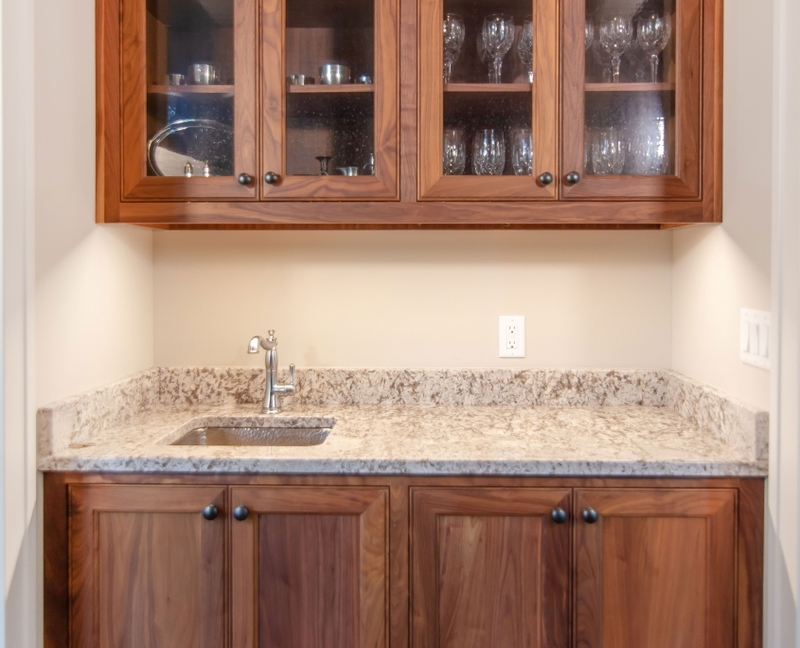 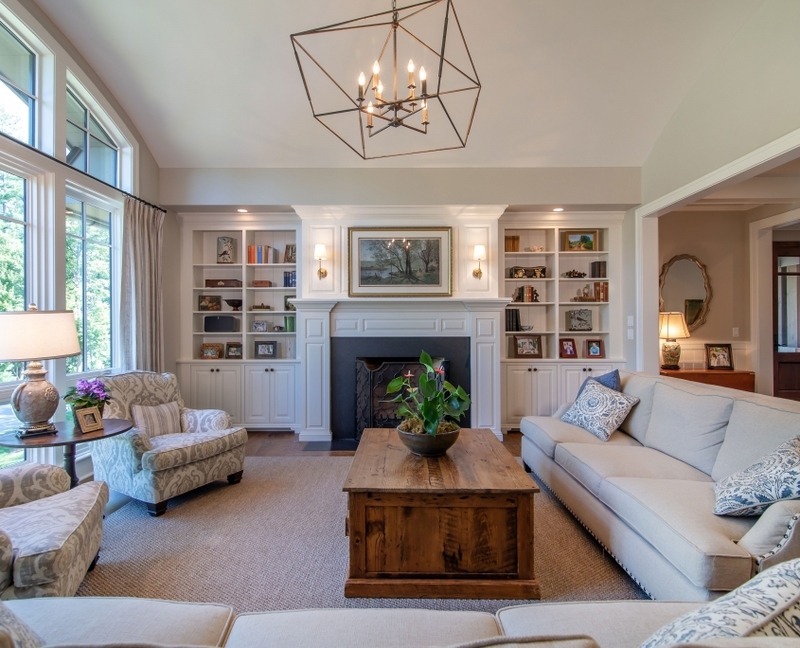 Beautiful cabinetry can aid in creating an atmosphere that is comfortable and functional for everyone present. 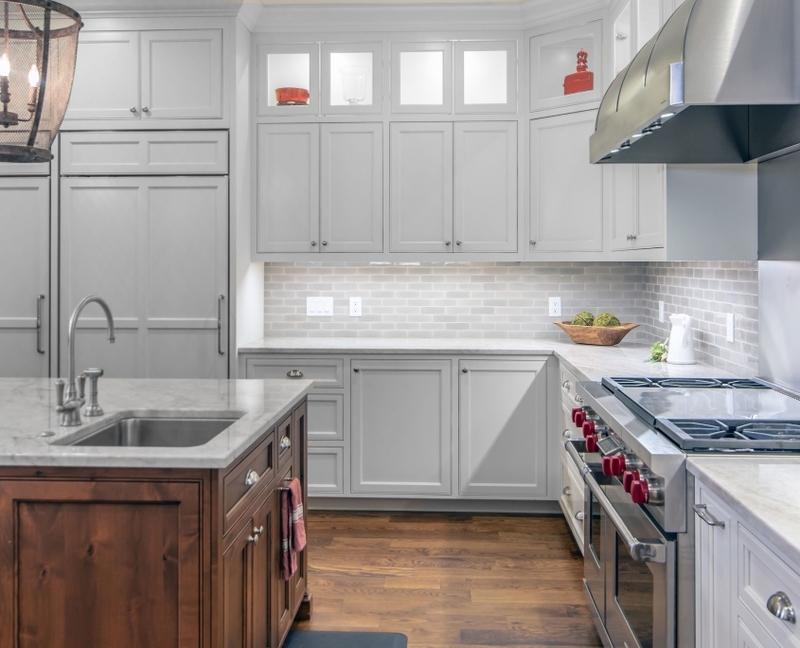 This kitchen is made to be lived in and the amenities can make spending time in the kitchen less stressful and more enjoyable. 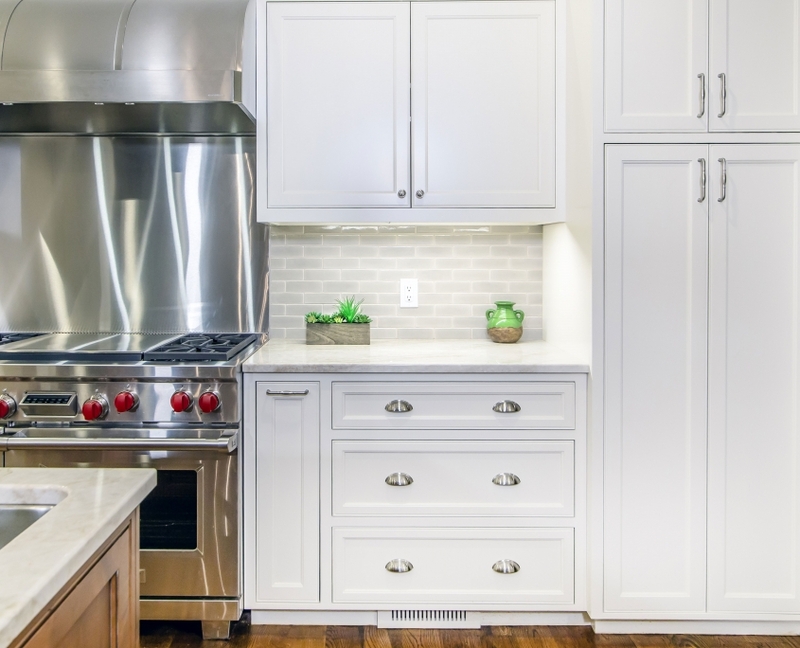 The aesthetic pairing of clean, white, beautiful cabinetry and rustic alder cabinets create a surprise element in this modern mountain home. 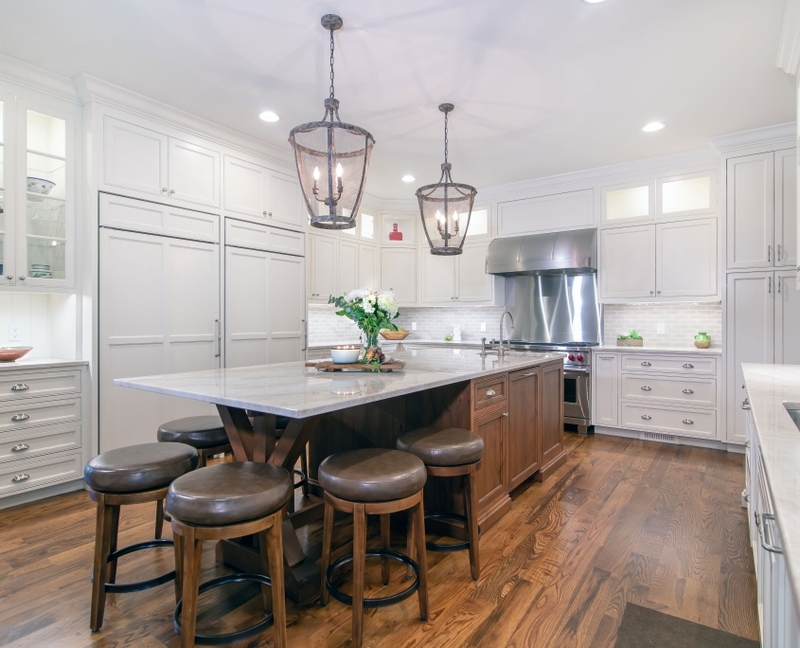 Seating for six at the custom-made table addition, two dishwashers and an abundant supply of refrigeration are just a few of the amenities this kitchen offers. 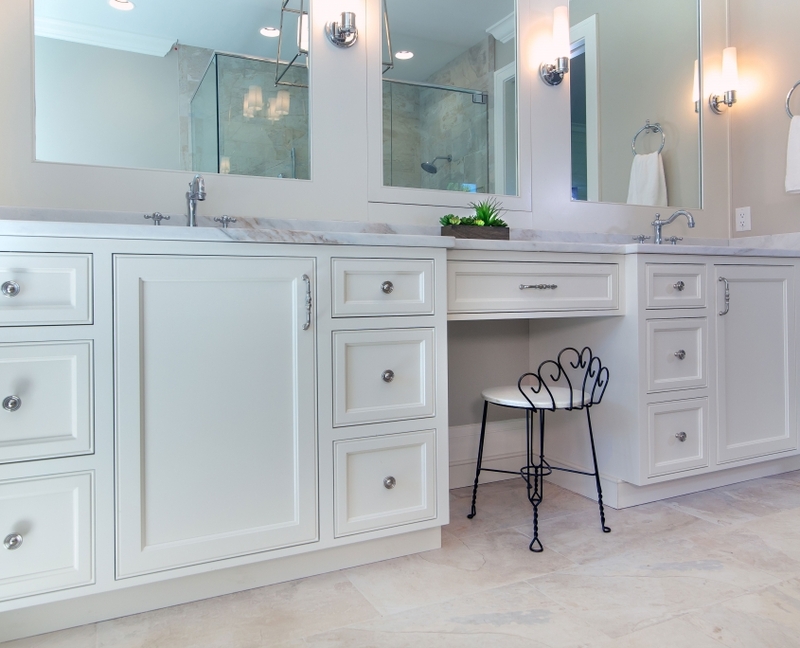 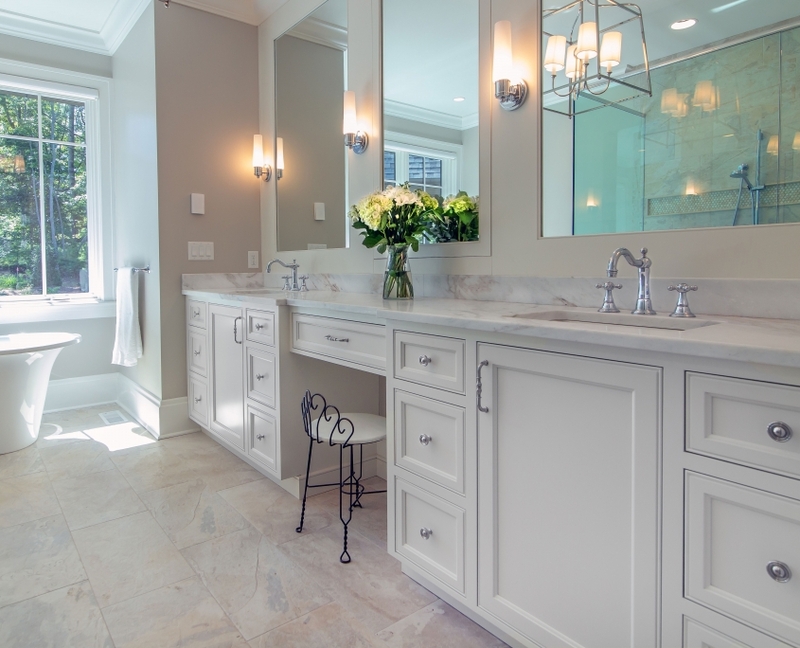 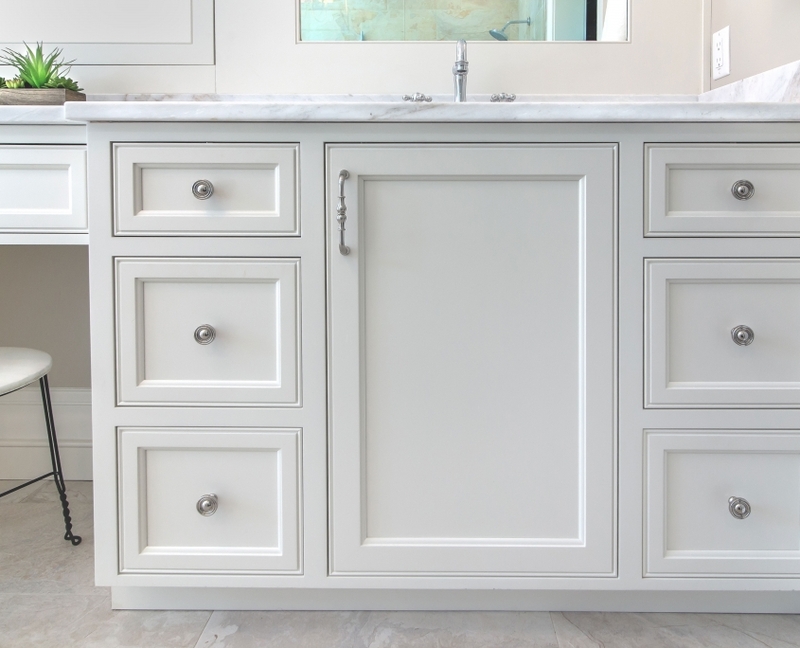 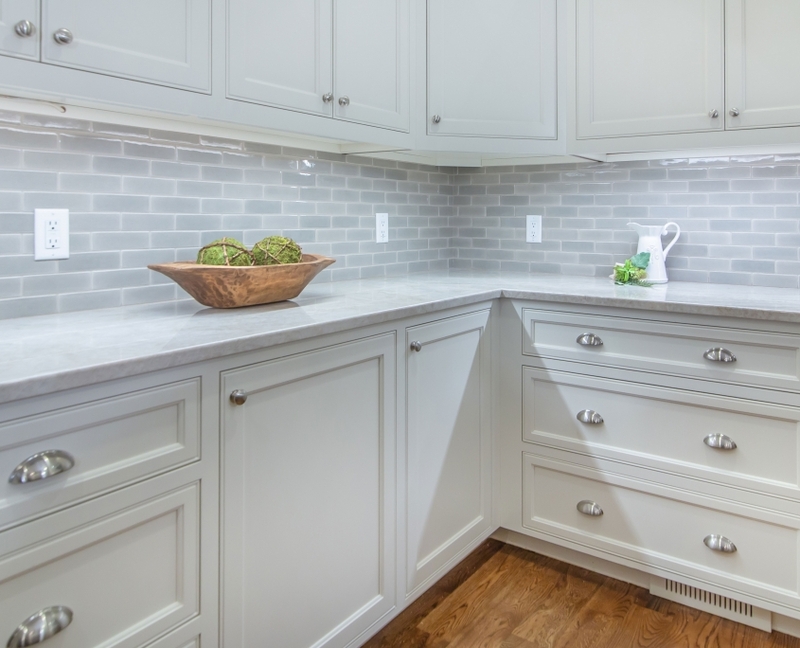 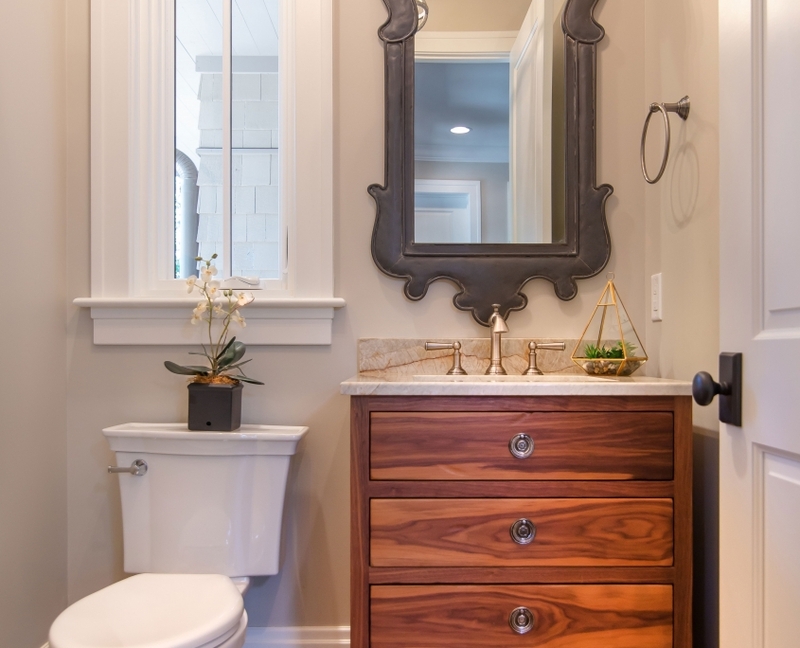 Beautiful cabinetry, in a white finish, creates a fresh, clean atmosphere in the master bath. 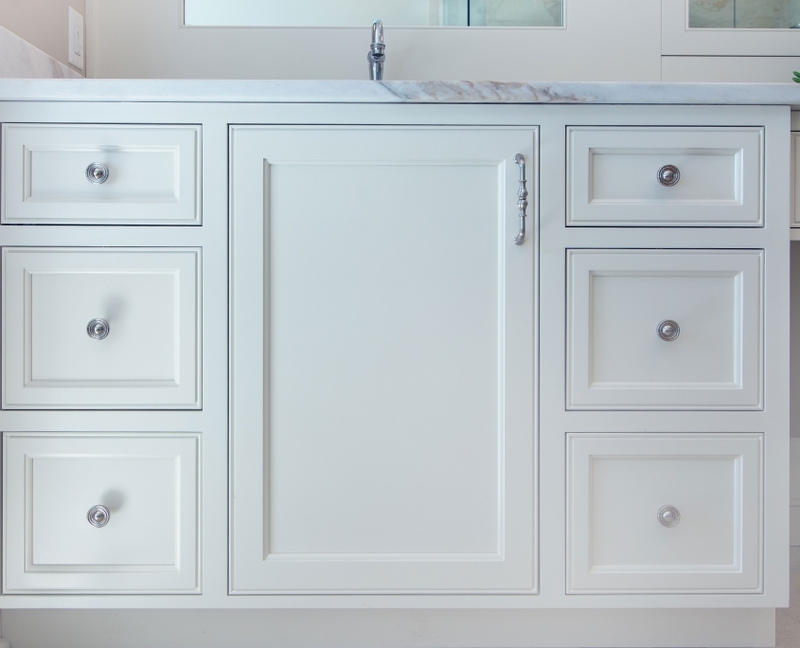 Guest powder room receives a simple makeover.